If you're in the market for a new pair of wireless headphones, but you're worried about finding that sweet spot between affordability and quality? 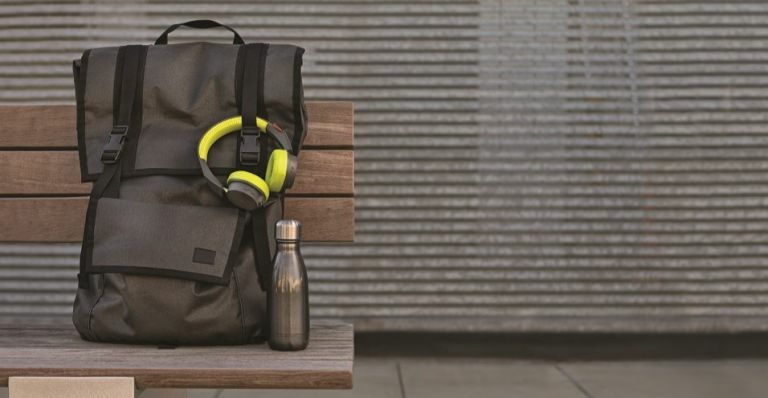 Well, Plantronics has one potential solution - the plucky new BackBeat 500 Series, complete with a long Bluetooth range, a ton of features and a price tag south of £100. You can stream up to 10 m/33 ft from compatible smartphones and tablets with Bluetooth 4.1 connectivity, automatically connect up to two devices simultaneously and pair up to a total of eight devices and rely on a DeepSleep hibernation mode that helps maintain battery charge for up to six months when your headphones are out of range or left on. Then there's the 3.5 mm jack and included analog cable, which can be plugged in as backup without disrupting your listening experience - perfect for uninterrupted listening. Plantronics BackBeat 500 Series is available now in three snazzy colors – white, grey and dark grey – on Plantronics.com for £89.99. You'll be able to buy it from other retailers later in the year. This is YRoam, an intriguing new roaming device that aims to keep you connected to the internet when travelling abroad. In other words, you won't sting with extra charges while you're enjoying yourself on holiday or on a business trip. YRoam can locate local networks that offer the strongest and most stable connections, giving users a portable Wi-Fi connection at a fraction of the cost that would otherwise be spent on data roaming. It will works in over 100 different countries. Since its not tied to one network, you'll only ever pay the one rate based on your chosen package - so no unexpected bills when you return home from a roaming-filled holiday away. The YRoam YR4 device costs £199 and comes with 1GB of data (worth £34.99). Looks like the Fossil Group is giving its huge smartwatch range a total makeover with 300 watches planned for released in 2017 alone. The group has a whopping 14 brands on the cards this year, including DKNY, Michael Kors and Emporio Armani. Hybrid smartwatches are really taking off, so it's no great shock to see Fossil Group going for the wearables jugular with a huge range of devices ranging from slimmer and smaller hybrid smartwatches to full-round touchscreen smartwatches with custom AMOLED displays and branded micro-apps. With all these brands about to fire on all cylinders by the end of 2017, and with the parent company already pushing fashion-forward watches hard in the wearables market, expect Fossil to try and take a big chunk of the smartwatch pie in the months to come.